Nearly one-quarter of all adults have received an arthritis diagnosis, a condition that restricts your ability to stay active and enjoy your life. The physicians at Barrington Orthopedic Specialists offer the full scope of treatments you need to relieve the pain of arthritis and improve motion in your joints, including physical therapy, medications, and surgery. If you experience joint pain or stiffness, call one of their offices in Schaumburg, Bartlett, Elk Grove Village, or Buffalo Grove, Illinois. Osteoarthritis, or degenerative arthritis, develops from daily wear and tear that gradually breaks down cartilage. Cartilage at the end of each bone in the joint provides a cushion that allows the bones to move freely. As you lose cartilage, bones inside the joint rub against each other, causing pain, loss of motion, and inflammation. Rheumatoid arthritis is an autoimmune disorder that begins with inflammation and swelling in tissues surrounding the joint. The inflammation gradually erodes bones and leads to joint deformity. The inflammation can also spread throughout your body, damaging other systems such as your skin, eyes, and blood vessels. About 12% of all cases of arthritis develop from a previous joint injury, which makes post-traumatic arthritis one of the top causes of joint disability. Treatment for arthritis often begins with physical therapy to improve mobility and alleviate pain and swelling. The team at Barrington Orthopedic Specialists work with you to develop an exercise plan that keeps you active while also balancing the need to minimize joint strain. Patients with knee arthritis often benefit from an assistive device like a brace. Your doctor may also prescribe medications to treat pain and relieve swelling. Some types of arthritis have specific medications; for example, disease-modifying antirheumatic drugs help stop rheumatoid arthritis from worsening. Intra-articular injections deliver medication directly into the affected joint. One type of injection, viscosupplementation, adds substances that lubricate and cushion the joint. Steroid injections can also provide rapid and long-term relief of pain and swelling. Your doctor may recommend orthopedic surgery when you need more than conservative treatments. 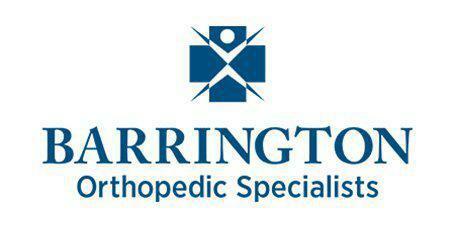 The team at Barrington Orthopedic Specialists are experts in various procedures such as joint repair, joint replacement, and joint fusion. Early diagnosis and treatment of arthritis are essential for minimizing joint damage and keep you active, so call one of the Barrington Orthopedic Specialists offices.